Our proprietary software package called Connect™ is the driving force behind our TEiM services. It’s sole purpose and existence is to capture and evaluate carrier plans, invoices and provide easy to understand reports for total control and visibility over your communications environments and costs. Don’t think of us though as a software company like some other service providers. We stand by our product as an end user as well for all of our analysis and services that we provide. You are welcome to use it as much or as little as your resources and business needs allow. We encourage you to request a DEMO and we guarantee that you will agree that it is the best in the industry. 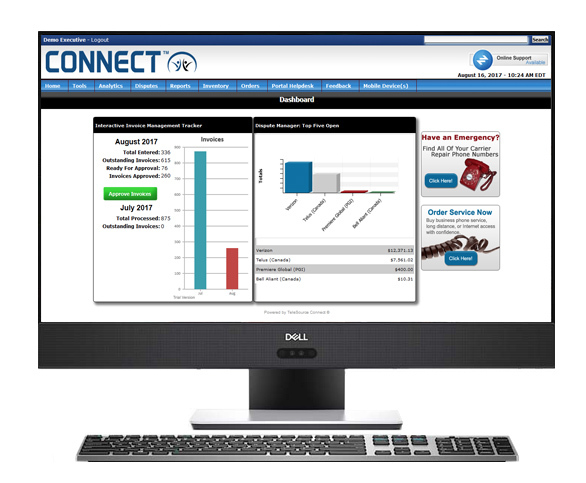 The Connect™ software is also extremely flexible and able to be integrated with any current accounting, MDM, BYOD or HRIS system. Specific Vendor Application APIs have been refocused as part of a new module called CONNECT [IVE]. 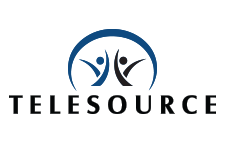 The Integrated Vendor Exchange (or IVE) solidifies TeleSource’s continued dedication in establishing new partnerships and further integration with cloud-based products and technology vendors such as Coupa, ServiceNow, and Okta. Call us for more information about how Connect™ can integrate with your software.